AP: My childhood was spent in various places of Bihar and my glory lay in the fact they people said I wrote good letters. J Those were the days of snail mail and I was commended by friends and family as a great letter writer. They tell me they were transported to the place that I’d described in the letter, and these remarks (I learnt the word compliment later) made me feel like a great writer. Also, when my essays were read out in class, it boosted my morale. But I never really envisioned that I would be a writer. I wanted to grow up, major in English and teach the subject so I did that. I was the most job satisfied person around me and could never understand why people didn’t choose a career they were cut out for and stop cribbing about all things work-related. After teaching for over nine years, I moved to corporate training. The company was looking for a trainer with a language background and I glided into my new role. Here, I was happy training and sending mails to colleagues that cracked them up. The occasional article that got selected for the office magazine made me feel like a Pulitzer winner. And then London happened. My husband, an IT professional, was headed to UK for a year and I was not to be left behind. I quit my corporate job and happily flew to meet The Queen. With no job to go to, I felt like an explorer and soaked in the English environs. After I’d had my share of cheese cakes, fish & chips and Stratford-upon-Avon, I got into blogging. Not without relentless online pestering from my mother in India about why I was ‘wasting time’ and ‘at least not writing’ about my experiences, if I hadn’t taken a job there! Blogging put me into a strict writing regimen and when a friend told me about Indirom, the flagship of Indireads, I’d gotten into the habit of sitting at the laptop and typing away. It is a fattening job, I tell you, and I’m grateful that my Love’s Labor was not lost. AP: I’ve written only one just now and it was hard. I hadn’t expected that! I thought writing came easily to me- I was blogging and wrote short pieces all my life- but a full-length book is a different ball-game, I realize. The edits that came forth squashed me completely and I’d almost given up, till, with divine intervention, Love’s Labor saw the light of day. AP: Everything. I don’t know too many other things that make me as happy as when I’m involved in the writing process. AP: I could never understand the fuss surrounding love and inter-caste marriage in our society. Love’s Labor is a story that I saw unfold in my family. The drama that ordinary people are capable of, the politics that unrelenting parents play with their rebellious children and the resentment that brews in young hearts are all that I am privy to. The saga needed telling, more for my own catharsis than for the reader to critique. You can read more about the background of Love’s Labor here. AP: Love’s Labor is a story about Piali Roy, an English teacher, & Sathya Nair, an animator, who are brought together by circumstances, and despite behavioural and communal differences, end up falling in love. All very well. What is not is the reaction of the two families, and a third’s. That of the girl’s who Sathya was slated to marry, when Piali took his life by storm. Staring from a hill station in India, the book takes you on a flashback to a Steel township where the lead pair belong, to another hill station where their love blossoms, to a city in the South of India where Sathya goes away to put his beloved’s insecurities to rest to another mountain town where the heroine herself lands up. In a tale spanning over two years, Love’s Labor takes you on a journey of India and, more importantly, of the human heart. The journey of the lead pair both inward & out is what forms the crux of the story; what adds spice to it are the deep-rooted & firmly held traditions that the families refuse to budge from and the couple’s unceasing attempts to overcome them. AP: Piali Roy: Twenty five year old Piali Roy is a beautiful and confident English teacher. 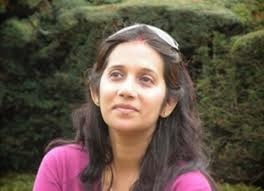 She heads the teachers’ group that is going on an excursion to Panchgani, where she meets Sathya, the Director’s son. Not the one who believes in ‘love at first sight’, she chides her palpitating heart for playing wanton. But life has other plans for this dutiful daughter. Sathya Nair: With his dashing looks, part- philosopher -part –academic demeanor and smouldering eyes, Sathya makes the teachers go weak. He is the Director’s son, the heir apparent, to the chain of schools his father has founded. The trip to Panchgani is his initiation into his future role. Sathya is engaged to the Principal’s daughter, Vinitha. Vinitha Krishnan: The friendly and composed IT professional who can differentiate the grain from the chaff is betrothed to her family friend, Sathya. Her reaction when Sathya calls off the engagement takes everyone by surprise. Piyush Roy: A dignified government official who holds family honour above all else is Piali’s father, Mr. Roy is appalled that his loving daughter has falling for Sathya, a man from a different community. APJ Nair: The School Chairman, Piali’s boss, is infamous in the small town of Jamshedpur for questionable practices. He smells a fish that a mere teacher in his school has ‘hooked’ Sathya, his son, the future Director. His dreams of tying his empire with the Principal’s, by marrying his son to her daughter, seems to be crashing. AP: I read so that I can be inspired to write. Sometimes, I can’t differentiate between writer’s block and laziness, honestly! AP: Life gets in the way of my writing. There are too many other areas that demand attention and writing is relegated to the background oftentimes. AP: A novel that revolves around relationships. And Then It Was Dawn is the working title of my second. Any secret habit? – Won’t remain a secret if revealed! Your most comfortable outfit – Long skirts & top in summer, tracks in winter.